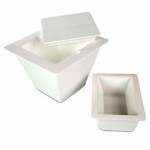 Categories: Electroblotting, Mini Wide, 20 x 10cm. This Modular System includes all modules and accessories required for MINI Wide Slab Gel Electrophoresis, 2-D Electrophoresis and Electroblotting. The central component of these Systems is the omniPAGE MINI Wide Vertical Unit. This includes a rapid and intuitive casting system, enhanced and easy to set up cooling system and increased gel capacity – each can run up to four gels per run. 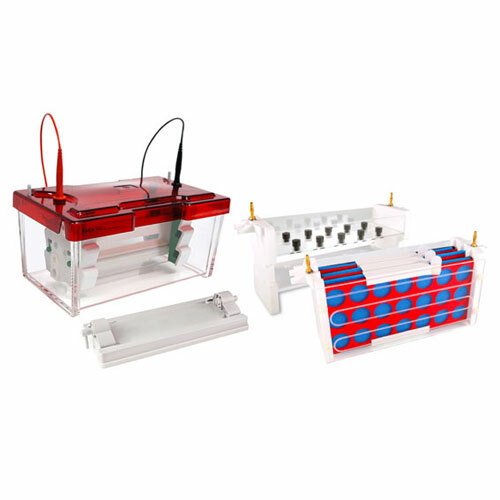 OmniPAGE Tube gel modules are capable of resolving up to 10 First Dimension gels and the Electroblotting modules have a four blot capacity. This package includes all the necessary accessories for Slab Gel, First Dimension and Electroblotting. Each of these techniques benefits from rapid set up cooling packs which provide enhanced resolution even during high intensity 2-D electrophoresis and electroblotting. plus: 1x Electroblotting Module comprising: internal electroblotting module, 4x compression cassettes for gel sizes up to 20x10cm and 8x fibre pads.